At age 9 Jason Brand launched his first home made “space mission”, a high altitude balloon along with his father Robert Brand, a long time space enthusiast. 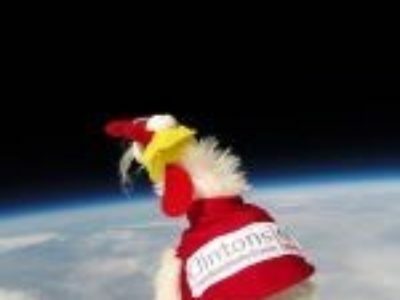 This was followed by a number of launches, including a recent flight that saw his “astronaut”, a fluffy toy chicken travel to 33km in altitude before plumetting to earth at 400km/h and landing in a remote location in NSW. Now at age 12, he is planning to break the sound barrier with an ambitious plan to release a radio control glider from a high altitude balloon over 40km above the earth. Dubbed Project Thunderstruck, he hopes that his 2.5m glider will reach 1800kph in a dive before leveling out and gliding to earth.